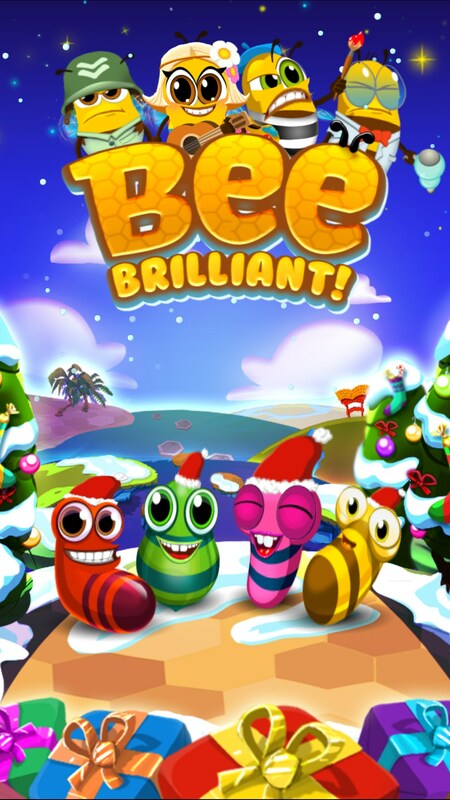 Bee Brilliant – Games for Android 2018 – Free download. 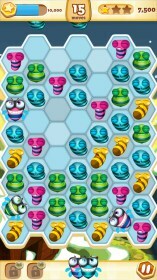 Bee Brilliant – A charming puzzle game. 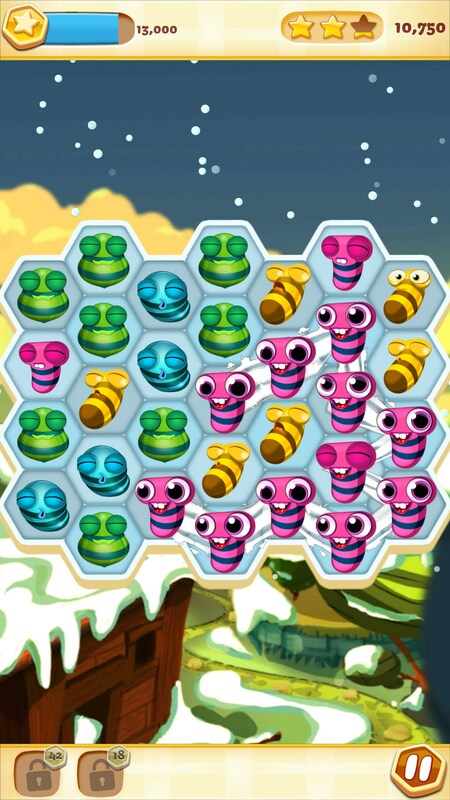 Bee Brilliant for Android is a charming puzzle game that you've probably played before. 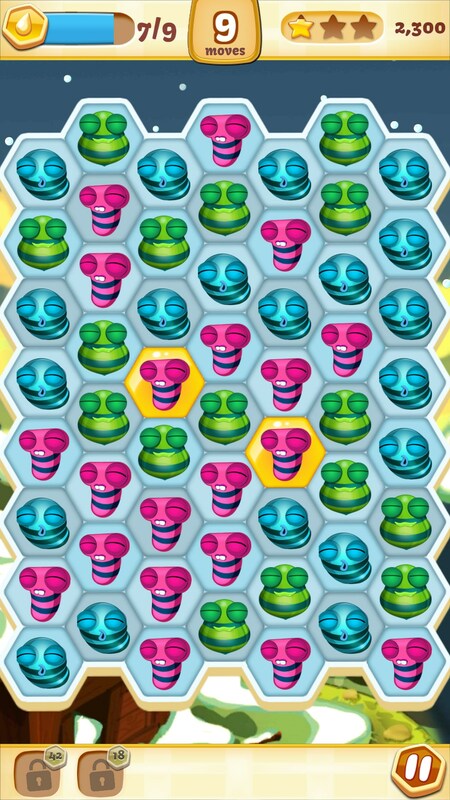 Maybe not because you've literally played this game, but because once you've just played so many “match three” games that they all sort of blend together. 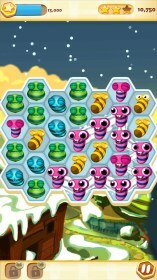 What you do is go through different environments matching different colored baby bees. 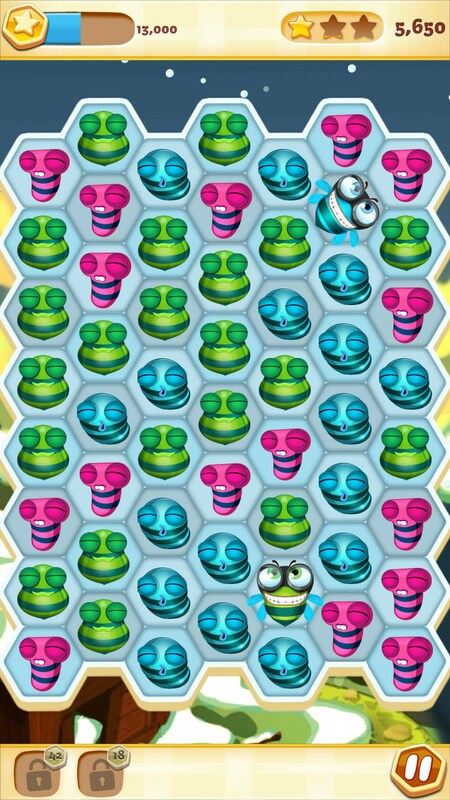 So, in this game rather than just matching three baby bees of the same color, you’re actually drawing lines connecting larger groups of bees together. You’ll find that groups aren't scarce, and in fact you'll be challenged to find the biggest groups possible. 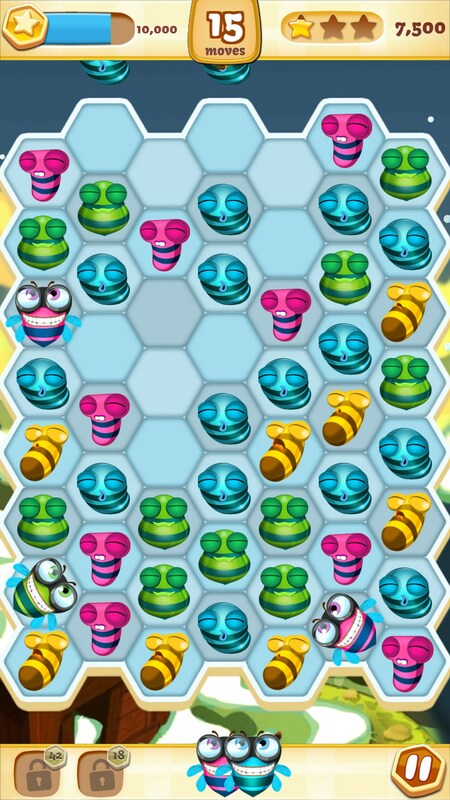 Matching large lines of bees also gives you power-ups, which are essentially larger bees that clear out entire rows of bees. One thing I really liked about this game was the charm. It’s dripping with it. 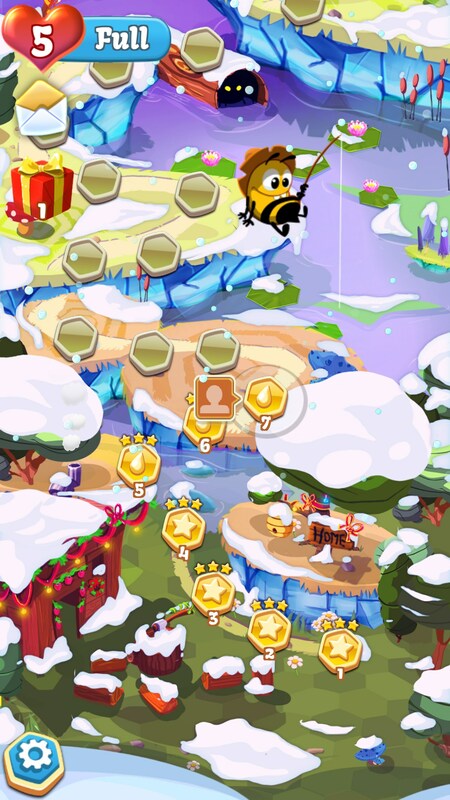 At the very beginning of the game you have 4 bees singing you Christmas carols, which was a nice thing to open up to. During the game, after you complete levels, you'll also be sung to. Some people aren't going to like this, but I think that the targeted demographic will enjoy it. 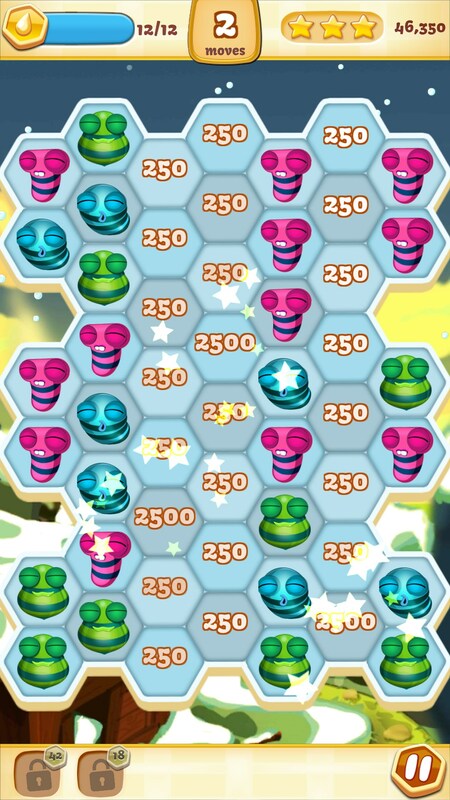 It’s a small touch that just kind of places this game a bit above the vast ocean of puzzle games just like it. 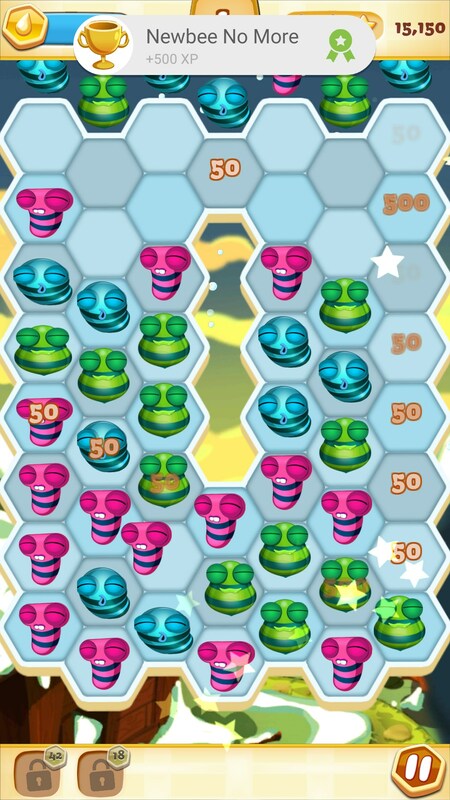 Bee Brilliant is probably one of the better “match 3” puzzle games that I've played recently. 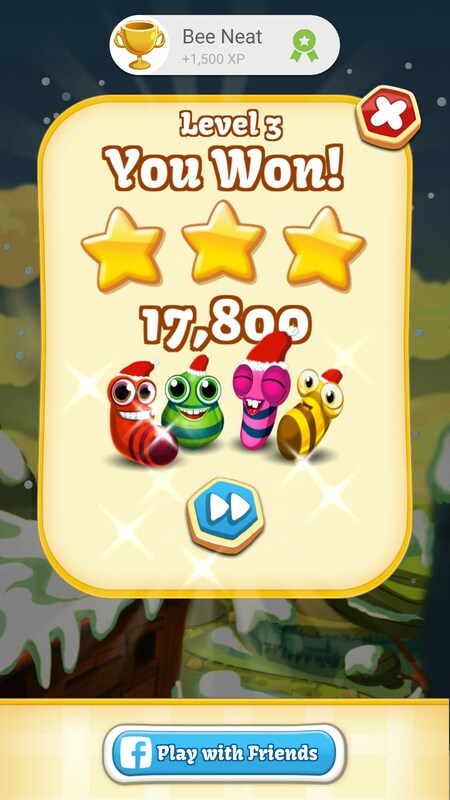 It has plenty of charm, which I think games really need when you see how saturated the mobile market is for games like this. It’s also really polished and well made. Another welcome sight when you see just how rushed some of these games can be. How do I stop commercials interfering in the games? ?